Liverpool have been tipped as the likely next destination for Christian Pulisic as reports continue to link him to a summer transfer. The Borussia Dortmund star has evidently drifted onto a number of Premier League wish-lists following his striking rise to stardom in Germany. 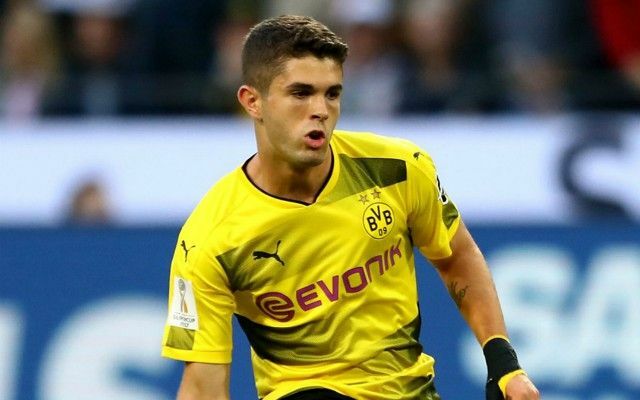 Still just 19-years-old, Pulisic is already expected to generate a fee upwards of £50million if, or perhaps when, he does choose to leave Dortmund. Having failed with an £11million bid to sign him in 2016, Liverpool have since remained avid admirers of the USA international. Pulisic has been highlighted as a target for Manchester United and Chelsea, as well as recently being linked to Tottenham Hotspur. Despite such rumours, his father has quashed talk of a move to England and insisted that his son, at this moment in time, envisions another season in the Bundesliga. The winger has displayed the traits capable of seeing him transition into a central playmaking role, elevating him as a potential replacement for Philippe Coutinho. His destined versatility to contribute in both roles is also typically well-suited to Jurgen Klopp’s transfer criteria and interchanging attacking setup, evidenced by the likes of Alex Oxlade-Chamberlain and even Mohamed Salah. A blend of pace, vision and the close control and agility to breach compact avenues bodes well against the physicality and athleticism of English football. Experience on the European stage serves as an added bonus on a resume blossoming with records he has broken during his early surge.